Every room in this spacious prewar apartment is being beautifully renovated by the Sponsor. The windowed kitchen will have cherry cabinets, stainless steel appliances, granite countertops and a washer/dryer. The corner master bedroom has its own private bath. The Seller will paint the apartment in your choice of colors and the floors will be sanded and polyurethaned. All work will be completed prior to closing. This apartment must be seen to be appreciated. 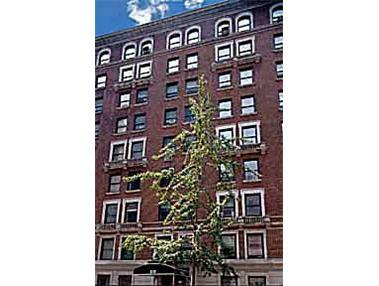 This lovely prewar building is on a tree lined block and has an "old world" look to the lobby. It is an established cooperative of 35 units. The superintendent lives on the first floor and is available to accept packages and be helpful to tenants. There are storage lockers and bike storage in the basement. The sale of this apartment is NOT subject to Board approval.